It is regularly asked by pastors, members of regional governing bodies, and a few church planters. If our work is leading congregations, we need to figure out how to lead our congregations into new ways of effective personal evangelism. We admit that old models are not working. 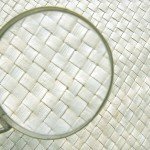 Some congregations may have a core competency in evangelism, but it is not a core practice. Most personal evangelism training has focused on getting decisions to follow Christ. The process feels like product sales. We might have to learn a particular technique, a style, or approach that would work in no matter what situation we find ourselves in. If we just memorize the right presentation, and use the right questions, we’ll get a convert. It’s like following a recipe. While this may not be the intent of such training, the end result for users is that evangelism feels like a slick sales technique. As I’ve interacted with hundreds of people in my evangelism training seminars over the years, this form of evangelism is scary. When I ask about evangelism training, these types of model comes up with a sense of dread. 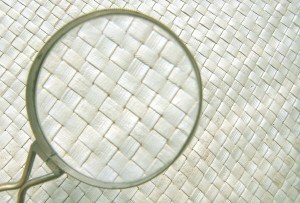 So we have to find a way to do evangelism that puts us in a different mindset — one that is outside the sales technique that many of us don’t like. It’s one thing to communicate information and content. It’s another thing to communicate life transformation. The basic motivation for contagiously sharing our faith is our own personal encounter with Jesus. If we don’t have a vibrant personal faith, all we have is someone else’s story. Sure, we have the basic information of the gospel, but we remain unable to say what real difference it makes in our life. We have to help our members develop a vibrant personal faith where they experience God’s presence and work. We have to find a way to help our members express their faith journey and grow comfortable talking about the work of God in their life. The sovereignty of God over the process. The process of a person’s journey to faith in Christ. Cooperation with the Holy Spirit at a given moment on the way. How to look for a person’s spiritual need and matching your explanation to that need. This gets us beyond gospel scripts (which are great tools in the process of evangelism), but helps us find the freedom to have conversations that help people on their journey of faith. This gets us into trusting God for the process of evangelism, and helps us realize our role in that process. This kind of model also helps us learn how to start a conversation that is appropriate, rather than being the obnoxious evangelist. What other kinds of changes do you think would help you lead people into a new perception of personal evangelism? Share with us in the comments below. Dr. Kevin Yoho,General Presbyter Newark Presbytery has put together a presentation called The Reciprocal Church. I like what he’s done in calling “the church” back into the nieghborhood, using the idea of reciprocity. 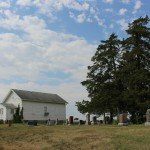 Does the church give benefit to the community in exchange for the investment that the community makes in the church? 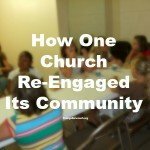 Or put another way, how is the church engaging its community to both demonstrate and advance the kingdom of God? View more presentations from Kevin Yoho. As I continued to read through Ron Crandall’s book, he gives a list of principles for church renewal and revitalization from the ages of church history. It may seem like a no-brainer, but at least observations through church history back it up. Renewal of a church begins with renewal of the individual. Sometimes that might be a dramatic and decisive experience such as a conversion moment at a church service, or answering an altar call or responding to the invitation to receive Christ. I had that moment of conversion myself when I was still in my teens. For others, such as those who grew up in a church it might be a deepening of faith, where you know it’s yours and not that of your parents. But all of us go through spiritual dry seasons, and there are those events that bring a fresh wave of personal renewal. Some have found them at events like the PRMI Ignite weekend, Cursillo, Walk to Emmaus, Presbyterian Pilgrimage, ABIDE, Tres Dias, Lay Witness Mission and so on. A new awakening in the life of a church — there is a new cooperation among believers wanting to fulfill the vision of God for the local congregation, a new sense of praying into God’s vision. Sometimes it might be a more dramatic revival. This is a stage where the people of a congregation receive the fresh vision of what God wants to do with the congregation. Old models are challenged, risk taking becomes more normal, and often churches will begin to rethink what they are about. With a fresh vision old programs fade. Old structures are laid aside. 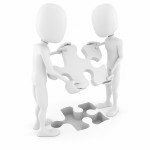 The church begins to reorganize itself to respond to the new direction that God is leading. Any form that is helping the church to find its new life and be faithful to its history should be kept. Any that deny the new fresh fire from the Spirit should be modified or retired. A church needing renewal is overly inward focused. As churches turnaround, experience renewal and revitalization, the church begins a new focus on mission and service to the world. Sometimes renewal begins here. . .. 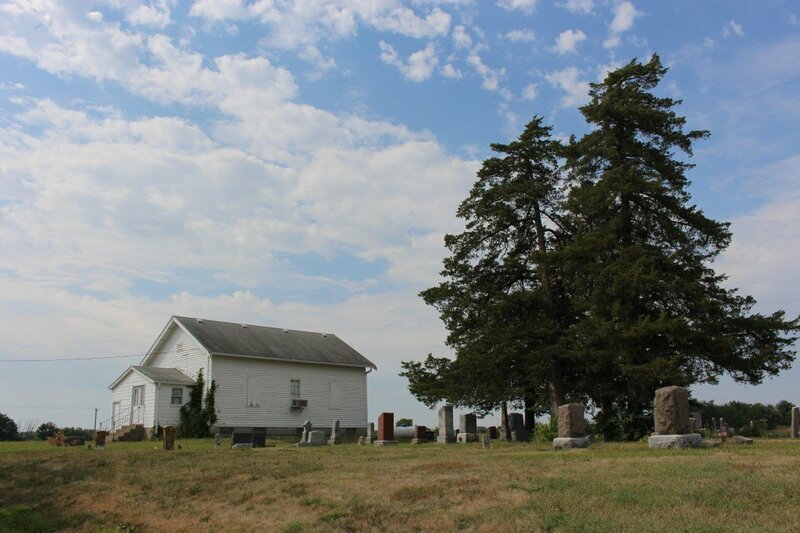 This week and next, you’ll be reading about small church transformation, particularly the role of evangelism, based on a study of small churches first done in 1995 and then updated in December of 2008. These first few posts setup some of the background and are meant to be in small blog-size portions for easy consumption. In Turnaround and Beyond: A Hopeful Future for the Small Membership Church, Ron Crandall takes a brief look at renewal in church history and also highlights some observations from current research on leadership. In broad strokes he offers the contributions of these disciplines to small church renewal and revitalization. Furthermore, Crandall lists some dynamics of renewal cleaned from business leadership studies. Don’t attack entrenched institutional patterns. Seek to pastor all the people. Build a balance of worship, community and witness. Provide small groups and home meetings. Affirm the ministry of all believers. Move toward the biblical model of leadership. Help the congregation discovery its own identity. Help the church catch a kingdom vision. What does the transformational study of turn around churches reveal? That’ll be tomorrow’s post. To get it automatically, sign up for the RSS feed. 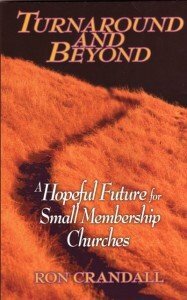 Order your copy of Turnaround and Beyond: A Hopeful Future for the Small Membership Church Direct from Amazon. 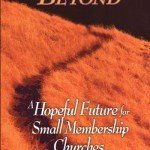 The first edition of Turnaround and Beyond: A Hopeful Future for the Small Membership Church was released in 1995 and was re-released and updated in December 2008. In the study Ron sought to explore strategies that enabled struggling and often run down small churches to experience lasting turnaround. In the 1980s, church growth studies assumed or believed that sustained growth would last about 25 to 30 years and then plateau and decline unless a new cycle of church growth began with intention to reach new people. Due to rapid acceleration of society and the new challenges of financial survival, that cycle has shortened considerably. Some think 10 years, others think 3-5 years. In either case, there are plenty of smaller churches that need to experience a fresh cycle of growth. Churches have a typical pattern of church growth and church decline that progresses one stage at a time. The study goes on to show how movement between stages are marked by cycles of rising to the new challenges in front and dying to the old ways. Even in the decline side of the picture, the new challenges rising up are perceived as insurmountable and the risk taking liberties once valued in the past are dying off as risk is managed and even over controlled. The question that Ron Crandall seeks to answer in his book is how do churches that are on the decline side jump start a new cycle that help a small church arrest it’s decline and experience a new wave of transformation that “resets the clock” and starts a new wave of church growth. I’ve asked Ron to join me in a Free Church Transformation Webinar on February 26 2009, 4pm. Though he identified many characteristics of successful church transformation, the Church Transformation Webinar will focus on the priority of evangelism. What can we do to survive? Thus began a conversation ten years ago with a dying church in a transitional neighborhood that wanted to re-engage the community. The church invited me to do some Evangelism Consulting with them about launching a new worship service. The average age of church members was 60, and they wanted more young people. They were in survival mode and needed something new to get new people. Is a new worship service the way to Re-Engage? The pastor wanted a new worship service. I needed to help them see beyond that debate and led them into a brainstorming process. Out of that brainstorming process they decided to do a block party. A block party was one of many ideas they tossed out in the brainstorming session. The leadership team was energized to carry it out. Church members got excited about the block party and began praying. Members hung door hangers around the neighborhood. Members invited the local community to come. Pastor helped with the momentum building. (See How Pastors Lead Congregational Evangelism #4). They had food, games, inflatables, and so on. It was a big event that spurred some new invitations and energy. As a result of that block party 10 years ago (and its continued annual repeats) this church has discerned the neighborhood needs. They have re-engaged the community. Preschool (now with an annual budget larger than the church’s). This church has become much more missional in it’s mindset and has lots of new vitality and energy to serve. As a result, they’ve focused less on the attractional elements and more on the missional elements to help them re-connect with the neighborhood. See Moving from Attactional to Missional. Now they are being more intentional about actively sharing their faith along with serving the area. This is where more intentional evangelism training will come into play. The church needs to engage with actions, but also be able to explain how they are different than the rotary club. See Is Neighborhood Outreach Evangelism? 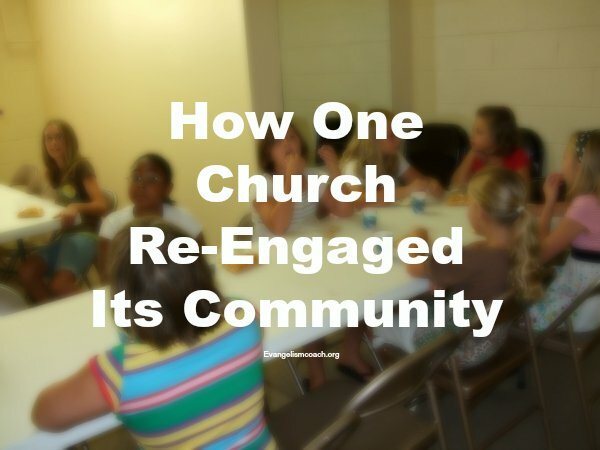 What outreach did your church do that helped you re-engage the neighborhood? What were some fruits that developed out of that connection?